When I heard that I was free I felt very happy because I had not seen my son for a year and a half. That kept me in despair and anguish because I did not know how he was. When they told me I was free I did not have words, I felt happy because I was going to see my son – that was my wish – to be with him. The first thing my son told me was that he loved me a lot. I told him I loved him too. When I saw him, I knew I was never going to be apart from him again. Thanks to God I am with him now. I am worried about my financial situation because I don’t have a job or the means to support my son. But I think that God will open doors. I have always wished for my son to be different from me, that he becomes a professional. I was not able to study because I did not have the means. But I want to find a way to make sure my son can study. I am very grateful to every man and woman who has been following my case, with that lighted candle, and who hoped that I would be free. [Since my release] I have been sharing my experience with others – and thanking God that I am not there [in prison] anymore. I am very grateful to every man and woman who has been following my case, with that lighted candle, and who hoped that I would be free. That gave me so much strength, because if you believed it on the outside, I had to believe it too. Every one of you is an angel sent into my life at the moment when I needed it most. Thank you to each of you. I know that you will not leave me alone and you will keep supporting my “compañeras” – more than 25 women –who are still in prison and who are innocent like I was. 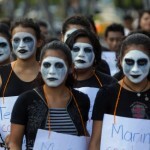 In El Salvador justice has been served and this needs to happen again with my “compañeras”. I ask everyone – men and women who followed my case – to support them. I will also join you. I don’t have the economic means, but I have the moral strength to help make them feel strong by keeping alive the hope that they will also be free, and that justice will be done. 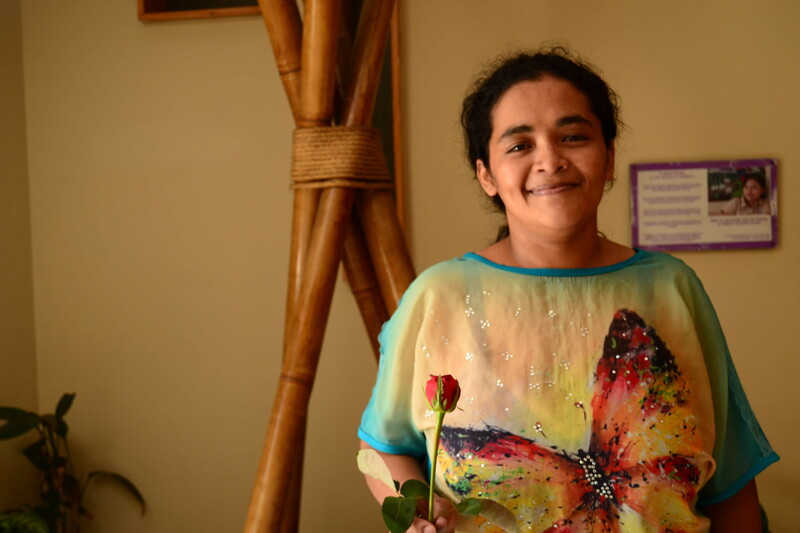 Like Maria Teresa, Teodora Vasquez was jailed in El Salvador after suffering complications with her pregnancy. She is another one of Las 17 – women whom Maria Teresa is fighting for. Join her – sign our petition today. This entry was posted in Americas, Prisoners and People at Risk, Women's Rights and tagged el salvador, María Teresa Rivera, reproductive rights, women's rights by Guest Writer. Bookmark the permalink. When I heard that I was free I felt exceptionally glad since I had not seen my child for eighteen months. That kept me in misery and anguish since I didn't know how he was. When they disclosed to me I was free I didn't have words, I felt upbeat since I would see my child – that was my desire – to be with him. This is very bad way to treat any woman like how Maria has been treated and kept in jail for no reason and never done mistake by her. It is the fault5 of the law in this case where no proper investigation has been done on this case which leads Maria to lead prison life for 4 years. I do writing CV online and no really wanna write about her to get justice to her. Listen, Here you can enjoy funny addiction solitaire free online games and can refresh your mind. No doubt these games are really amazing and everyone love these fantastic games. Such an amazing blog. Thanks for sharing it with us. If ever in your life you are facing any problem we will be here to support you like this time. It sure seems to be really interesting to know about helping those who are innocent.